The Happy Couple, my awesome nephew Adam and his beautiful wife, Emily, in Calgary, Alberta, posing with their wedding quilt that I made for them. 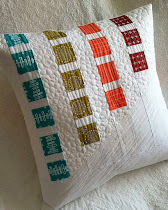 I am so happy with how this quilt turned out and so happy with how much it is loved. They are off on their honeymoon today. 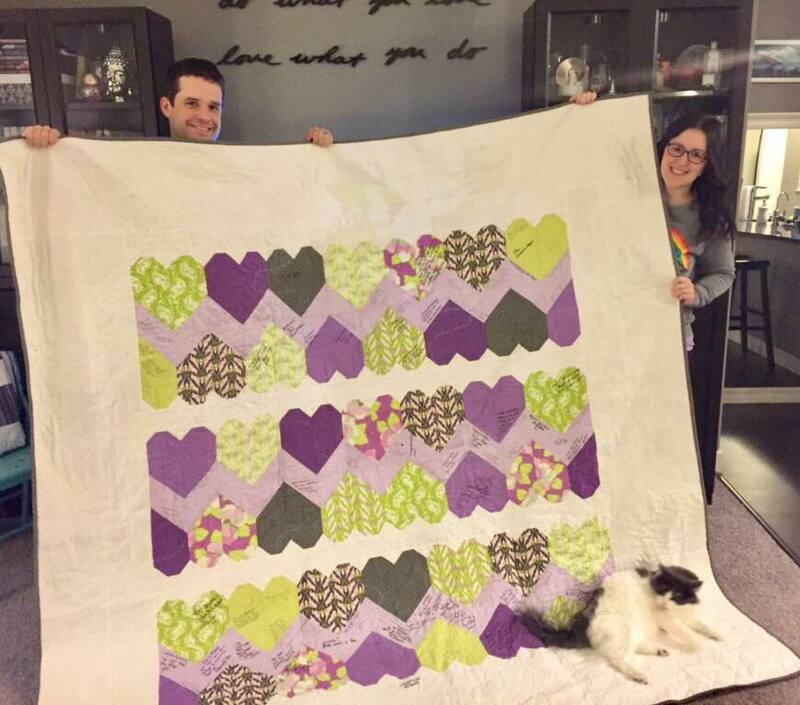 apparently Cody the Cat loves the wedding quilt too! 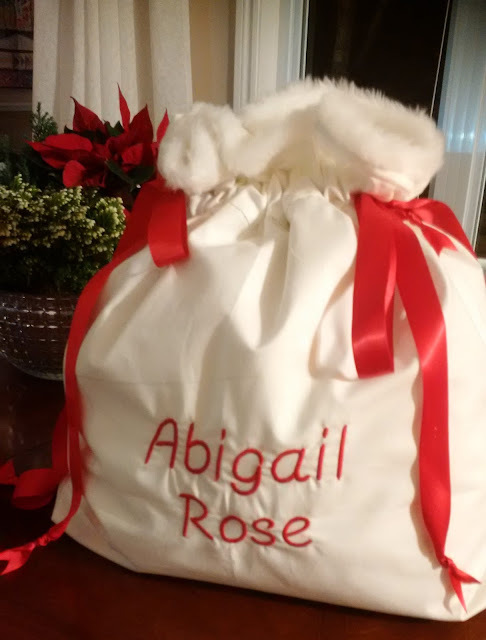 another secret gift revealed....made for my new great niece so that her Nana could fill it with lots of wonderful gifts on her first Christmas. I love seeing quilts being held by their smiling new owners! It makes my heart happy :) And what a great idea to make a personalized, reusable gift bag like that. Plenty of room for loot in that one! 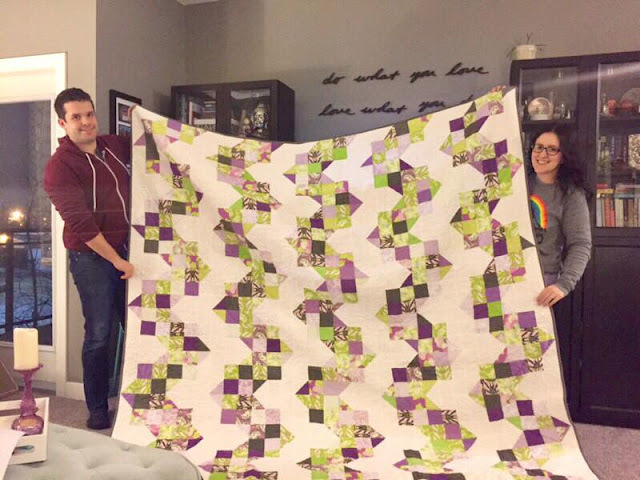 Gotta LOVE a two-sided quilt filled with memories of such a special day!! The couple sure love their quilt and I can understand why , it is gorgeous . Sweet bag for your little niece, I bet it was filled with lots of hand are goodies . Happy New Year! 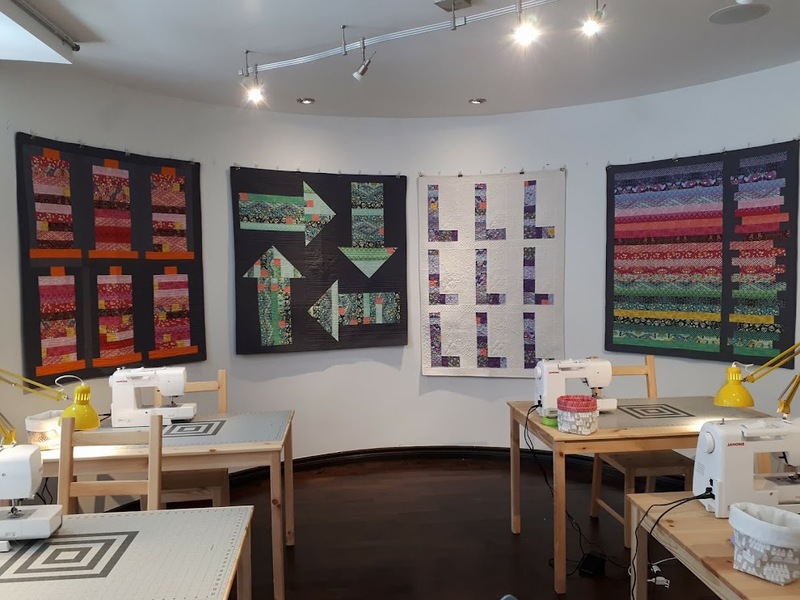 Glad to hear they loved the wedding quilt. I hope they have a wonderful honeymoon. The quilt turned out fabulous.